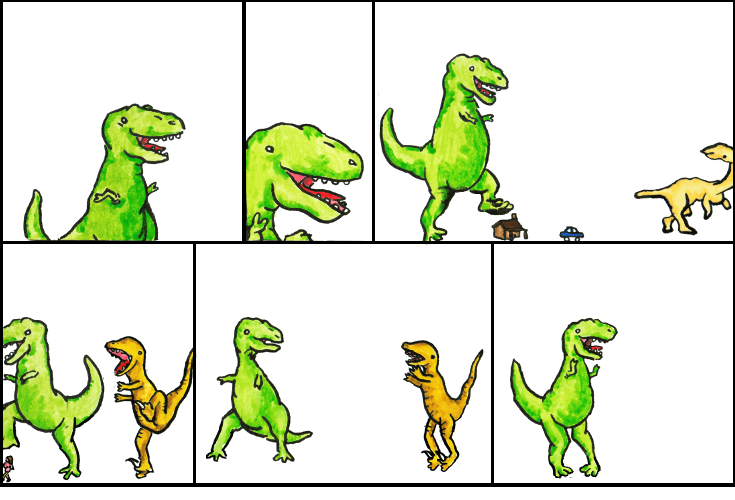 Dinosaur Comics - February 28th, 2007 - awesome fun times! February 28th, 2007: Hey, remember the Dinosaur Comics Greeting Cards you could get? THEY ARE PRETTY RAD. But we made them better by allowing you to buy only one, three or five at a time, instead of the complete set. It's a better deal to get the complete set, of course, but now you can get just one card for your special someone. Also the other cards (Found Magazine, Sappycards) there are sweet too.